What is IBM Cloud Functions? 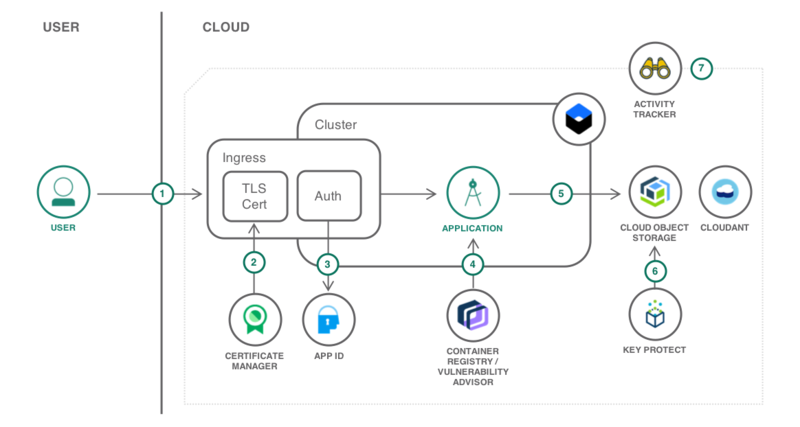 IBM Cloud Functions provides access to the Apache OpenWhisk ecosystem in which anyone can contribute their action code as building blocks to the expanding repository. IBM Cloud Functions accelerates application development, which enables developers to quickly build apps with action sequences that execute in response to our event-driven world. IBM Cloud Functions, by offering easy access to IBM Watson® APIs within the event-trigger-action workflow, makes cognitive analysis of application data inherent to your workflows. It’s simple: pay for actual use rather than pre-allocated capacity. Costs increase only as you construct more OpenWhisk-intensive solutions or as existing solutions scale to support bigger loads. In this tutorial, you will create a serverless web application by hosting static website content on GitHub pages and implementing the application backend using Functions on IBM Cloud. Using IBM Cloud Functions in combination with IBM Cloudant® and Watson Visual Recognition, you can create an efficient, serverless architecture to search video content. Cloudant is a fully managed document store designed for modern web and mobile applications and that leverages a flexible JSON schema. Watson makes AI technologies that are essential to creating great cloud-native customer experiences. Capture and distribute real-time event data in the cloud with IBM Message Hub, a fully managed Kafka-as-a-service platform.